1. 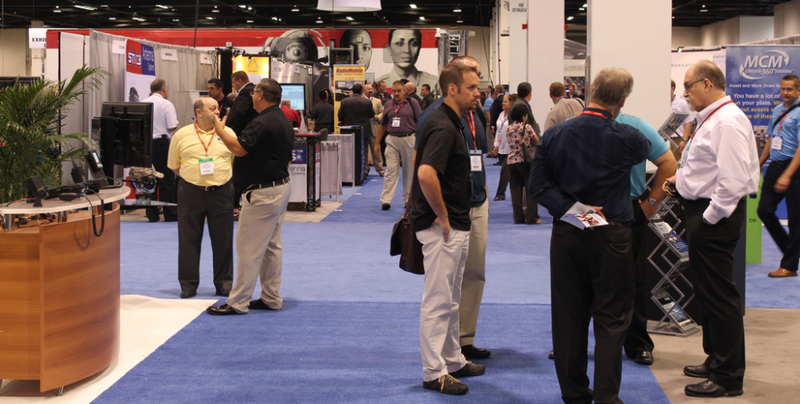 Keep attendees at your booth longer by actually providing a service they find unique and personally beneficial. While you have their attention talk shop! 2. Showcase a promotion or news right on the charging kiosk LCD display screen. The screen is a great display opportunity to keep attendees interested while they are waiting for their device to charge. 3. Start a conversation by offering a charge and gain one on one time with a prospect. This is a great conversation starter an alternative to the traditional greetings on the trade show floor. 4. Boost your brand by adding your logo and brand identity to front and sides of the charging kiosk. This extra real estate offers a unique way to promote your messaging and attract your constituents. 5. Sell a sponsorship space to partners or vendors. Sponsors can deliver their message to a captive audience. The interactive touch screen on the top of the kiosk can deliver fully customized video contest to enhance the user experience. Many companies these days offer cell phone charging stations for trade shows, events and conferences. Veloxity is one such company that rents and sells cell phone charging kiosks to help make trade shows more powerful.